The 33-year-old rapper had been due to perform at the Samsung booth at the annual video game conference on Tuesday (14Jun16) to promote his skateboarding game Sqvad Up. However, en route to California from Wisconsin on Monday (13Jun16), Lil Wayne's private jet was forced to make an emergency landing in Nebraska after he suffered a seizure. Paramedics rushed to the airfield to give him medical attention but he refused, before then having another seizure as the plane prepared to take off again. He was then taken to hospital. Wayne's representative confirmed on Wednesday that he had left hospital after receiving treatment, and he then decided to surprise fans by making an unscheduled appearance at E3. He looked in good spirits as he delighted fans with performances of hit tracks including Lollipop, Truffle Butter and A Milli. Lil Wayne is also scheduled to hit the stage on Saturday (18Jun16) at the Sprint Center in Missouri. It's not the first time something like this has happened; Wayne suffered a pair of dramatic health scares in October 2012, after experiencing seizure-like episodes on two flights, which were both grounded so he could be taken to hospital. The star revealed he is taking pills to prevent a relapse, and is also required to stay well hydrated. He told MTV News, "They said I gotta drink four water bottles a day, that's what the doctors say." He also suffered a near-fatal seizure in March 2013, and was placed in a medically induced coma in the intensive care unit at Cedars-Sinai Medical Center in Los Angeles. 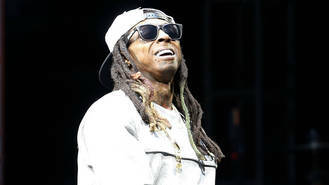 The health scare subsequently prompted Wayne to go public with his epilepsy diagnosis, explaining his seizures come with "no warning, no nothing," adding to MTV, "I don't feel sick."